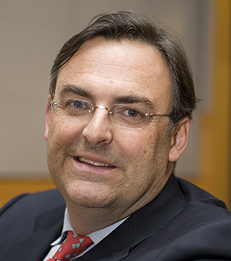 Matthew Richardson is the Charles E. Simon Professor of Applied Economics in the Finance Department at the Leonard N. Stern School of Business at New York University. Prior to being at NYU, Professor Richardson was an Assistant Professor of finance at the Wharton School of the University of Pennsylvania. In addition, he is a Research Associate of the National Bureau of Economic Research. Professor Richardson has done research in many areas of finance, including both theoretical and empirical work. His research has been published in the American Economic Review, the Journal of Finance, the Review of Financial Studies, and the Journal of Financial Economics, among other places. He was an associate editor of the Journal of Finance, Review of Financial Studies and Journal of Financial and Quantiative Analysis. He recently coedited two books on the financial crisis titled, Restoring Stability: How to Repair a Failed System (Wiley, 2009), and, Regulating Wall Street: The Dodd-Frank Act and the New Architecture of Global Finance (Wiley, November 2010), and is a co-author of, Guaranteed to Fail: Fannie Mae, Freddie Mac and the Debacle of Mortgage Finance (Princeton University Press, March 2011). Professor Richardson completed both his bachelor and master degrees in economics concurrently at the University of California at Los Angeles. He received his doctor of philosophy in finance from the Graduate School of Business at Stanford University. NYU Stern's Volatility Institute Hosts 5th Annual Conference on "Volatility of Credit Risk"